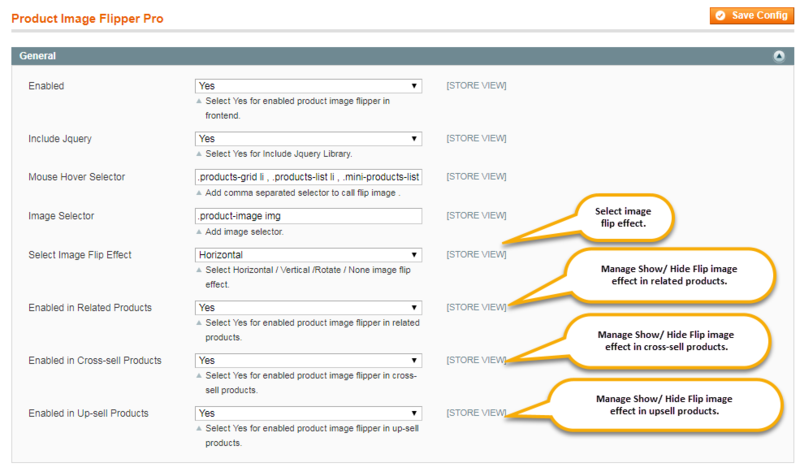 Easy way to select flip image from admin product detail page. Product flipper extension worked on Category List , Home Page , CatalogSearch List , Related Product List , Up-sell Product List and Cross-sell Product List. Provide 4 options for flip effect. Provide field to add product group selector for work in theme or any other page. Provide field to add image selector for work in theme or any other page. Provide options for manage Enabled/Disabled product image flipper in Related Product List , Up-sell Product List and Cross-sell Product List. Product flipper image display in mousehover on product image also supported in mobile device. Product image flipper extension provides simple way to display secondary image of product when hover on product image. 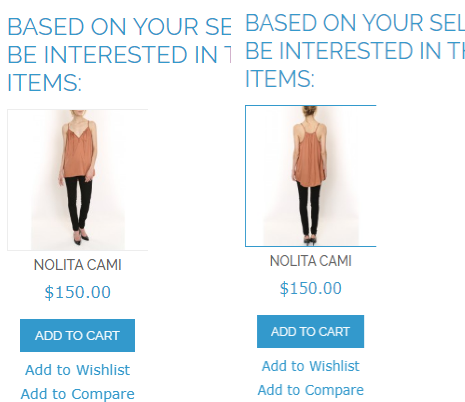 It helps to display front and back view of product using our extension. Product image flipper also display in related related, cross-sell and up-sell product list. Select Flip Image from Backend. Select Flip Image from Product Detail Page. Product Image Flip from Related Product List. 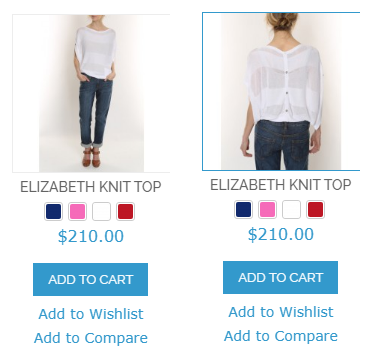 Product Image Flip from Cross-sell Product List. 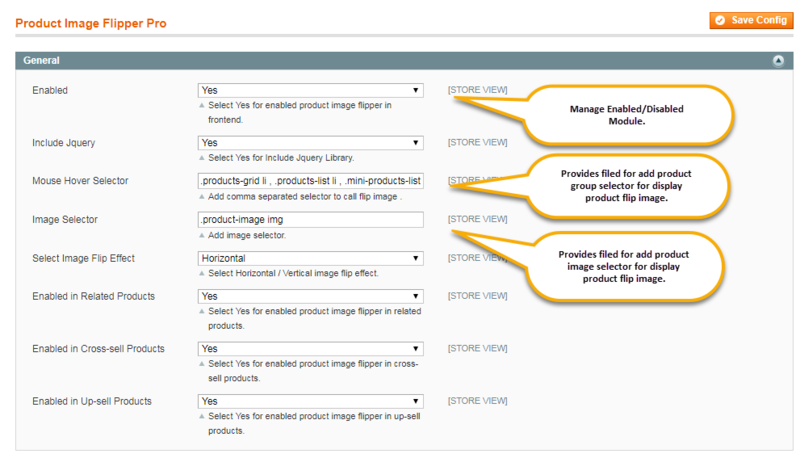 Add Product Group Selector and Image Selector for Display Flipper Image. 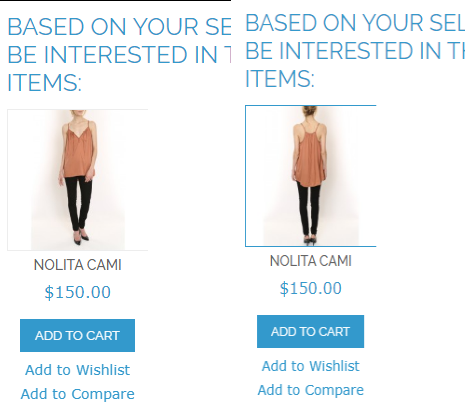 Mouse Hover Selector: Add product group image selector for display product image flipper. Image Selector: Add image selector for display product image flipper. 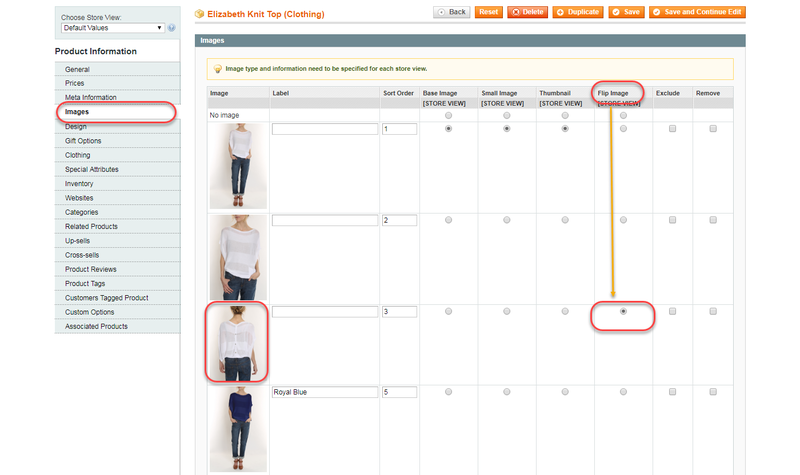 Select Image Flip Effect and Show/Hide Flip Image on Related , Cross-sell and Up-sell List . Select Image Flip Effect : Select image flip effect Horizontal/Verticle/Rotate/None. Enabled in Related Product List: Manage Show/Hide Image Flipper in Related Product List. 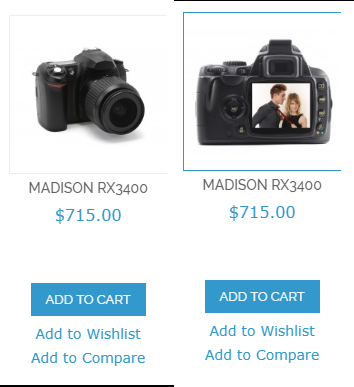 Enabled in Cross-sell Product List: Manage Show/Hide Image Flipper in Cross-sell Product List. Enabled in Up-sell Product List: Manage Show/Hide Image Flipper in Up-sell Product List. Quick, Fast and Low Priced! We want our customers to know more about our products and buy them quickly. When you have a large catalog of products, this extension can save you time. It is so easy to install and you can show your products from all sides. Thus, convincing more customers to hit the buy button. And this module does just what it says. Very affordable and very well-written. Show your products from all angles! Perfect for a store like ours! We sell women's shoes online and it allows us to manifest our products in the best light. Very easy to use. I cannot believe how difficult it was to sell our products before this extension. It has been such a game-changer for me. Kudos to the developers! We have a website that sells beer steins. And, our customers need to view the product from all sides so that they can get a clear idea of the design. This Magento product image flipper extension is a life-saver for our business. It convinces the customers of the product quality and helps us improve our revenue numbers. 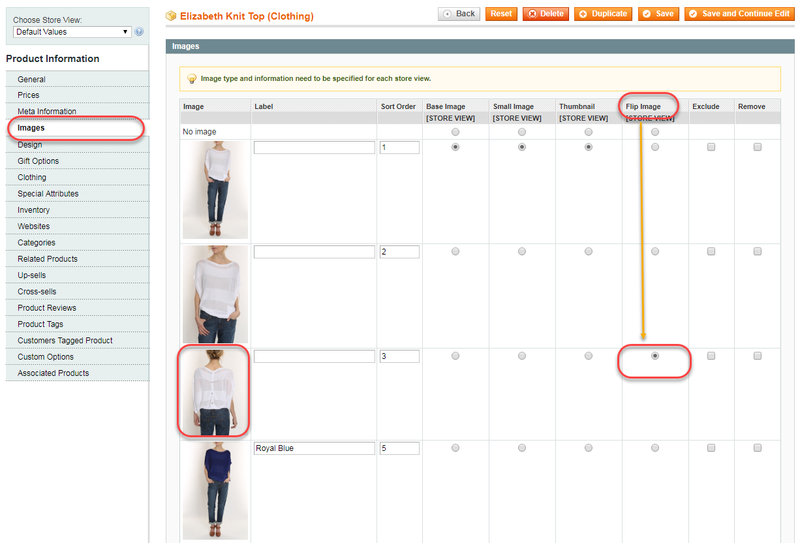 I have tried a couple of product image flipper extensions in the past. But none had the efficiency of this MageBees extension. It works with a plethora of mobile devices which makes the module truly versatile. Well-written and good customer support as well. Easy to display my product backend view. This Extension provides easy way to select flip image for product and provides attractive effect options to display flip image. I have Installed Product Image Flipper Pro Extension. But when I click on Product Image Flipper Pro Tab in the config page will get a 404. After installing Product Image Flipper Pro Extension. Please Logout from admin account and Re-login and Refresh Cache. Not Display Product Flipper Image in Product List Page. Go To Admin -> Magebees-> Product Image Flipper Pro -> Configuration. Open “General” Tab and check “Mouse Hover Selector” and “Image Selector” value. This selector value match fronted product list group selector and image selector. If not then add new product selector group using comma separator sign. Q-3:Not Display Product Flipper Image after add product image hover selector and image selector. Ans :Open your theme magento_root_dir/app/design/frontend/[theme_name]/default/template/catalog/product/list.phtml file and add code for flipper image. You can put this below code after product name or product price. Add Below Code in to your theme list phtml file.